Bronze, H 70 cm & 73 cm/ 27.6 in. & 28.7 in. 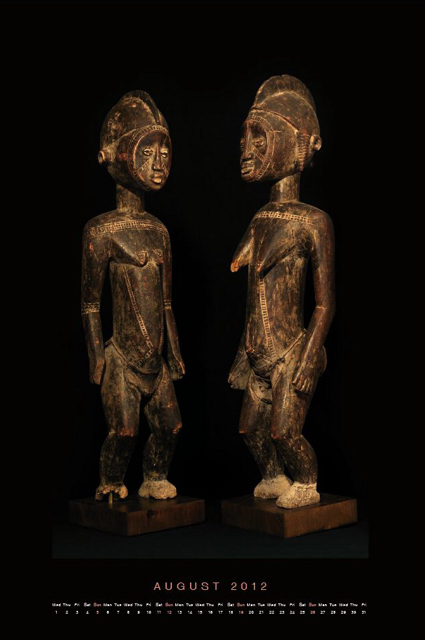 The figures of the Mossi are carved for individual men and are exhibited only once at the end of the year to celebrate the ancestors. 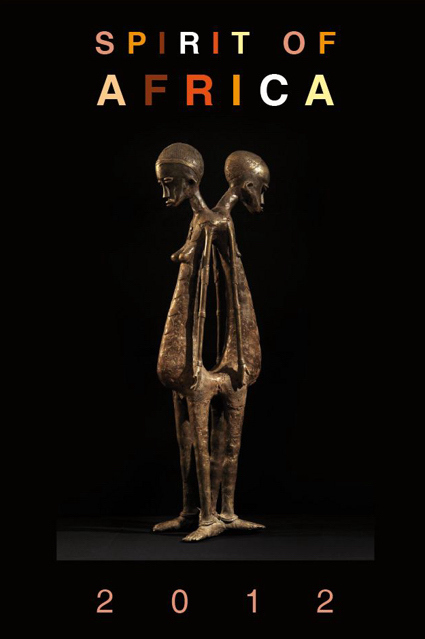 Due to their relative rareness and lack of public appearance these sculptures are sometimes wrongly attributed to neighboring groups. 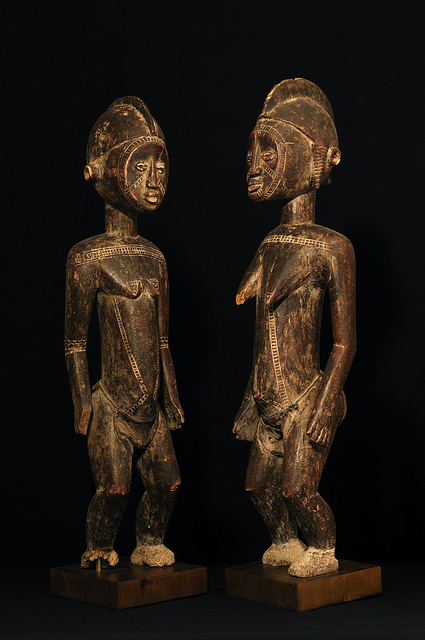 The scarification patterns on these figures display the elaborate carving skills. Cowrie shells are used to highlight the eyes.